May 24, 1961 was the day 19-year old Jean Thompson's father had prepared her for her entire life. "My parents always talked about the injustice of segregation, but they were optimistic; they didn't feel like it was going to last forever," Thompson recalled. "They raised us to be ready. I remember my dad saying the day will come, and when it does, you should be ready." On that day, she boarded a Trailways bus in Montgomery, Alabama with 11 other young Freedom Riders bound for New Orleans - and history. Within three months, approximately 300 other riders took up the mantle to desegregate buses, following the path of the first brave few. Mobs bloodily assaulted many. Others were arrested shining a light on a brutal, segregated South. 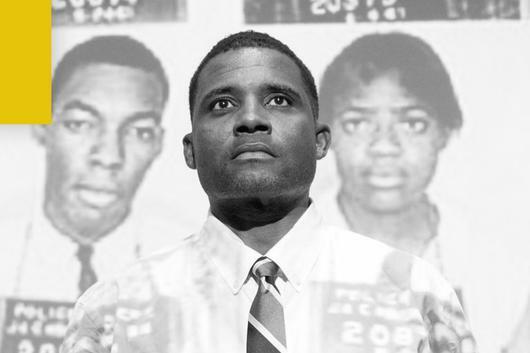 BREACH OF PEACE is based on true accounts of surviving participants of the Freedom Rides as well as many other individuals involved in the early struggle for African-American equality. This solo-play is a living monument to those remarkable young men and women of various races, religions, and backgrounds who rose to face the dangers of fighting for just and equal treatment for all. Panel with Wiley, alumni and students to follow.